Ongoing construction March 29, 2017. 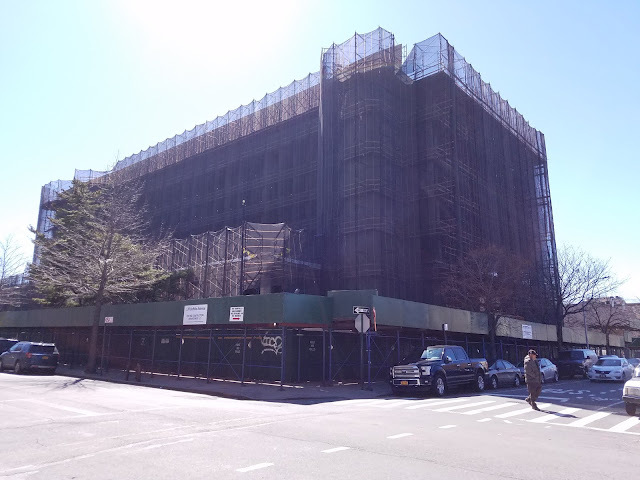 The former Crown Heights hospital continues its transition from derelict eyesore to much anticipated 170,000-square-foot nursing home complex once completed. The eight-story hospital was constructed in 1975 and finding itself in bankruptcy in 2005 due to heavy financial losses operating. Since 2005, it was left abandoned before being snapped up by its current owner, a NY healthcare group, in 2014, who will be reopening it as a 280-bed nursing home facility. It seems nursing facilities are on the rise in New York City. Another abandoned church in another borough is also up for demolition to make way for a nursing facility. 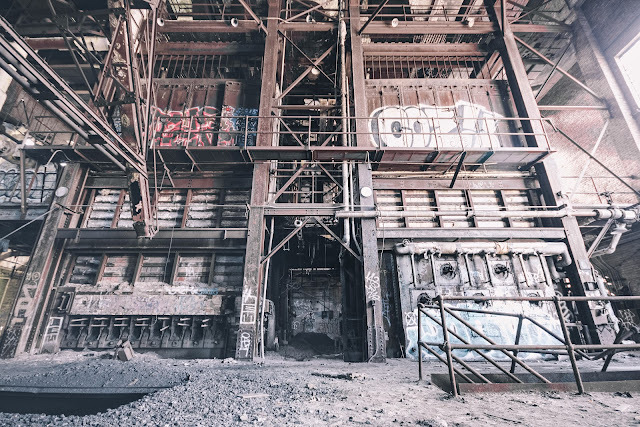 During its demolition work, workers were bilked out of $100,000 in wages when the contractor, Andrew Miller, promised workers $14-20 hourly wages and benefits. None of it found to be true before being prosecuted for fraud by the Brooklyn DA. St. Mary's primarily served the poor and uninsured but could not sustain its yearly $10 million capital needs and losses any further in 2005. Unfortunately, St. Mary's Hospital is no longer abandoned and another one bites the dust from inactive to active.